Clear a scene by destroying all the enemies that are in the scene. If you touch an enemy body or enemy bullet, you loose a life. When you clear 10 scenes, you proceed to the next area. 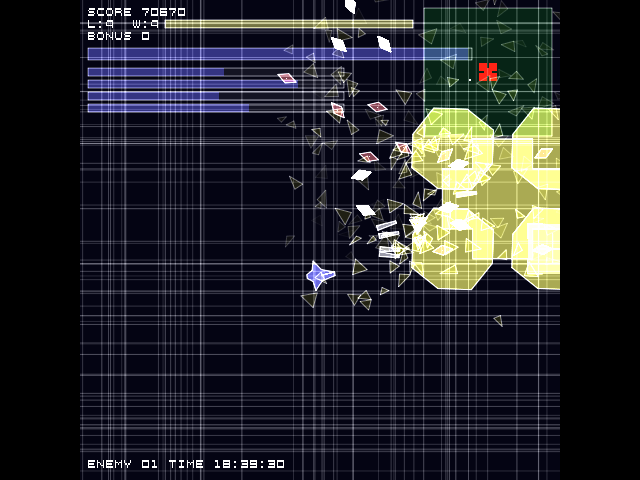 The game is complete when five areas are cleared. If all areas can't be cleared in the time limit, it's game over. 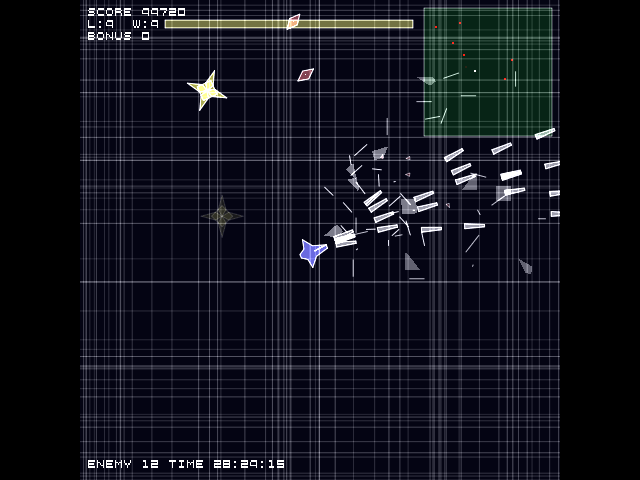 Entry for the Alive & Kicking Coding Competition 2013/2014. Nice port, these abstract shooters work well and look really good on handhelds. Nice action. Good controls. Worth a try, even if one doesn't like the genre in general.